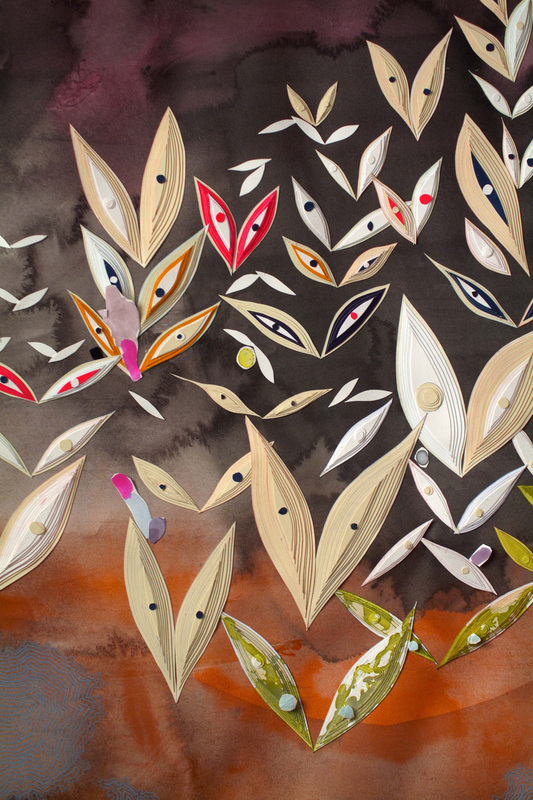 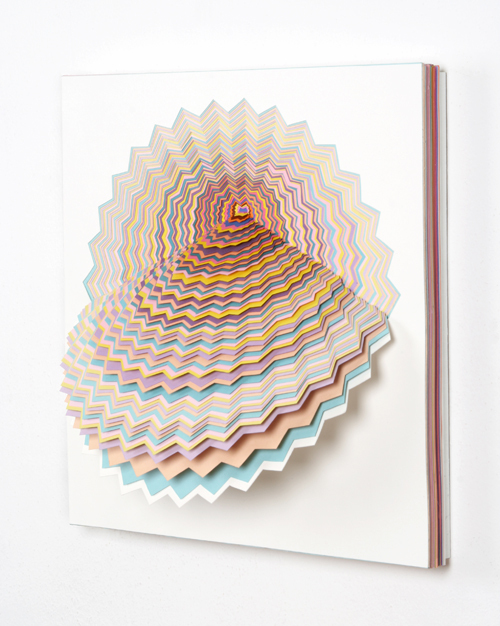 Johansson Projects presents Portals, an art exhibition that ventures into unknown, mystical apertures through spiritually charged, innovative paper creations. 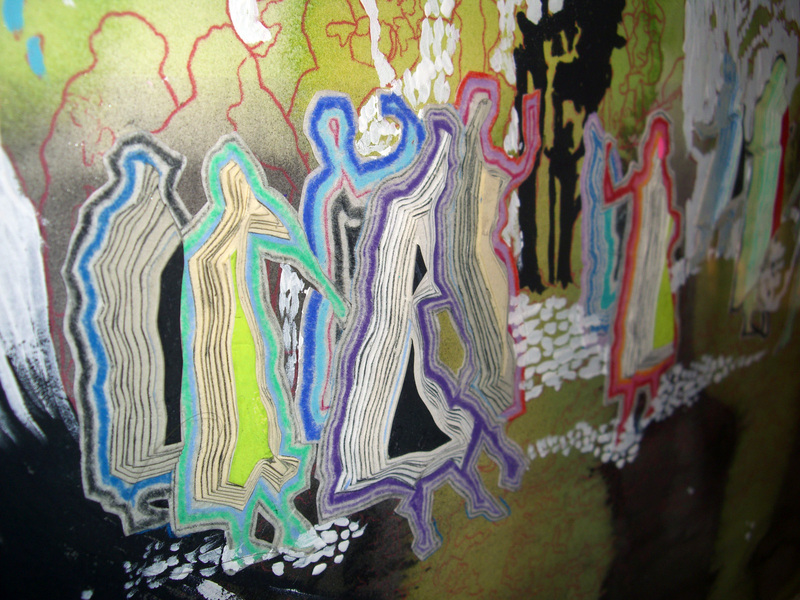 Offbeat, and at times explosive, Portals ignites the senses and impels the mind to investigate the dynamics of the divine. 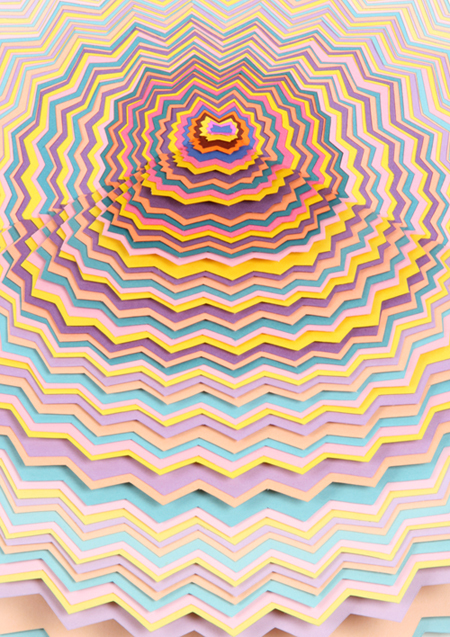 Prompted by the inconspicuous possibilities of natural forces, Miami-based Jen Stark produces intricately hand-cut paper explosions with simply an X-acto knife, glue and an eye for evolving repetition. 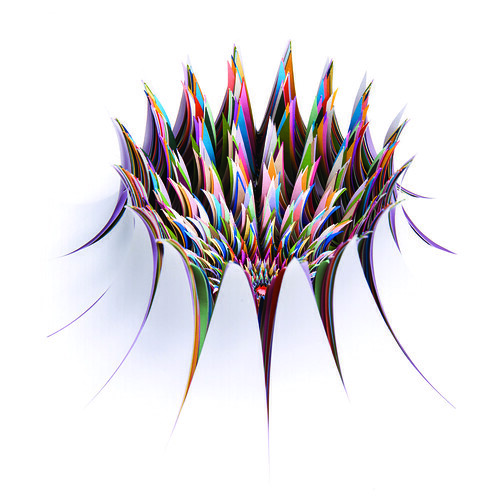 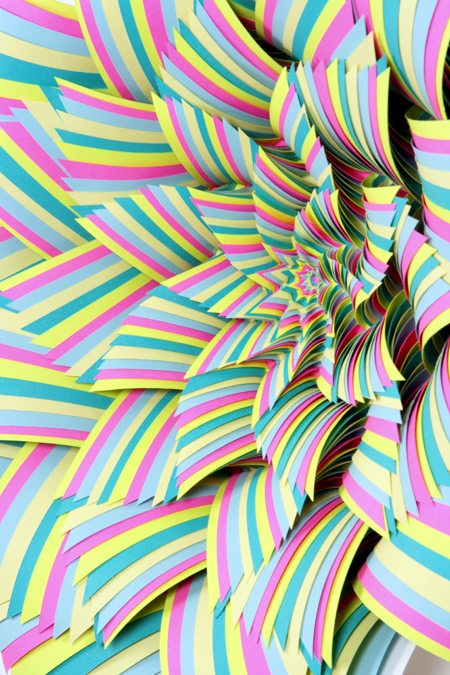 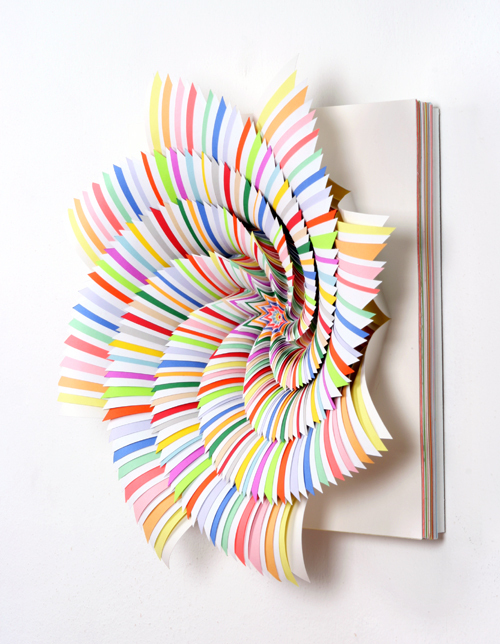 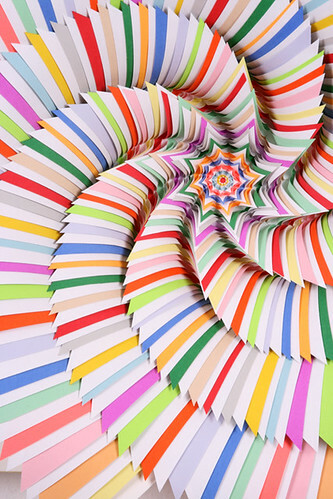 Stark’s remarkable ability to transform something as simple as paper into a harmonic and magical sculpture of pulsating color demonstrates her aptness at recognizing the potential in the undetected. Stark has gained the attention of several publications including Wired, Wallpaper, Ready-Made and Preen and has been named a 2008 recipient of the prestigious South Florida Cultural Consortium’s Visual and Media Artists Fellowship. 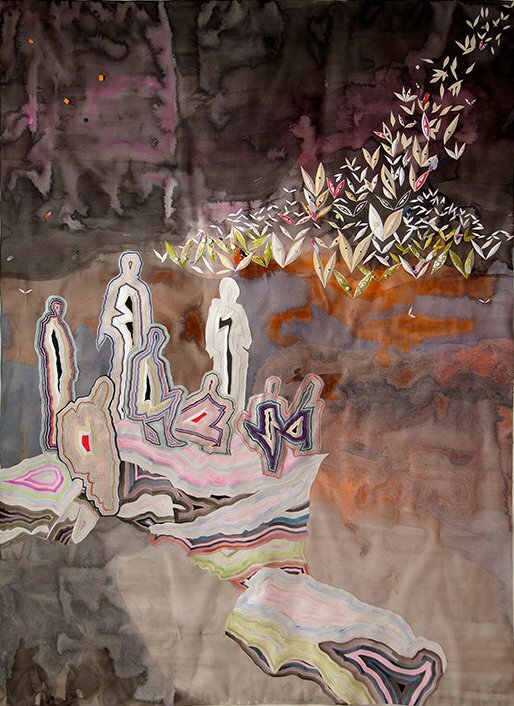 LA artist, Anna Fidler peels back the curtain from our earthly surroundings and steals us glimpses of washy, liquid landscapes indeterminable yet parallel to our own. Figures huddled together in electric-hued palates conjure fantasies of spirit rituals and mystical incantations. 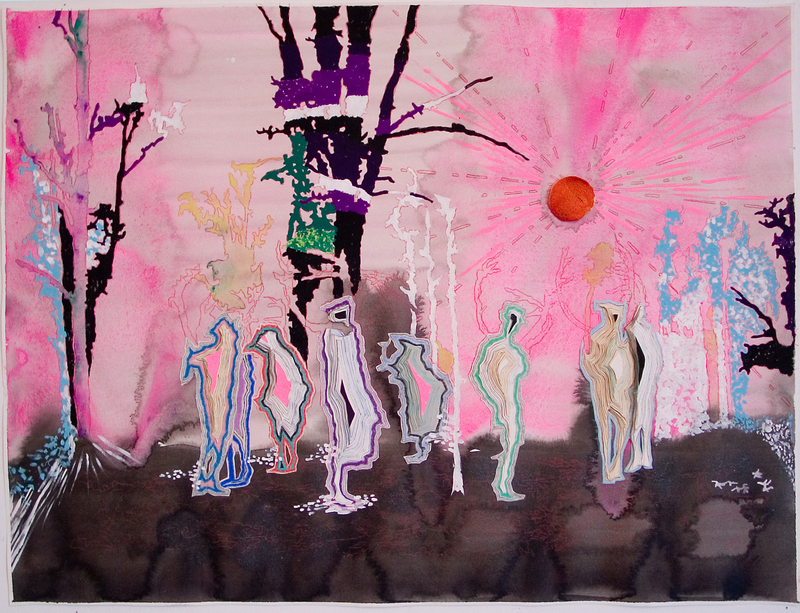 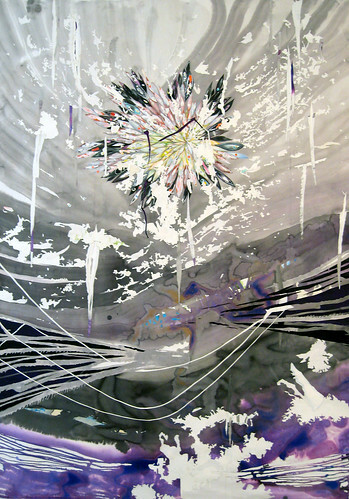 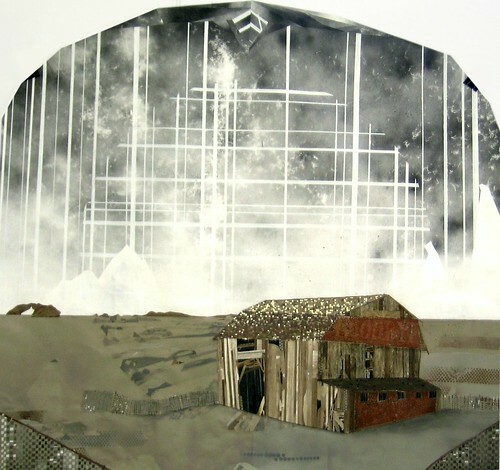 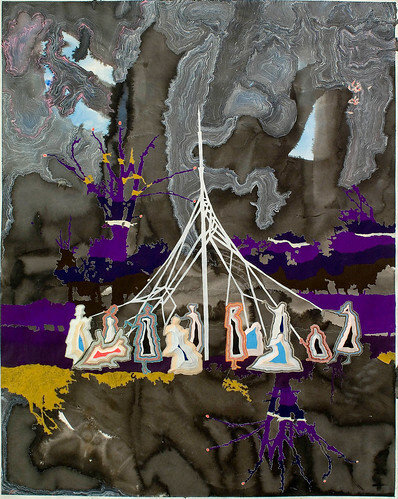 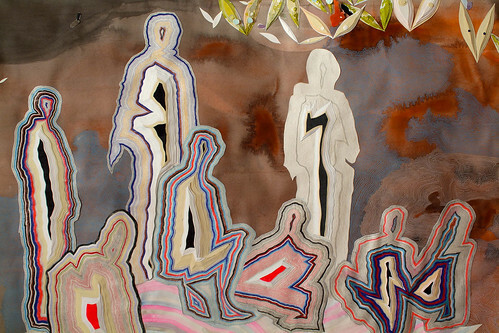 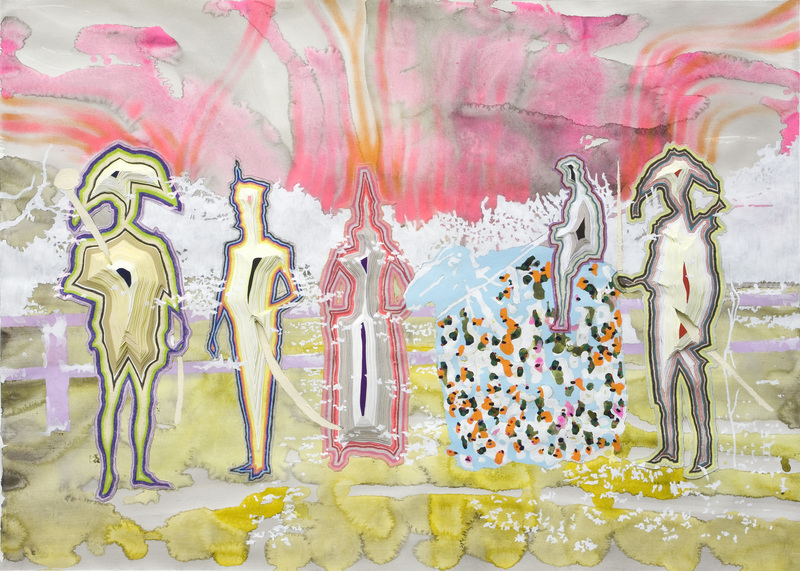 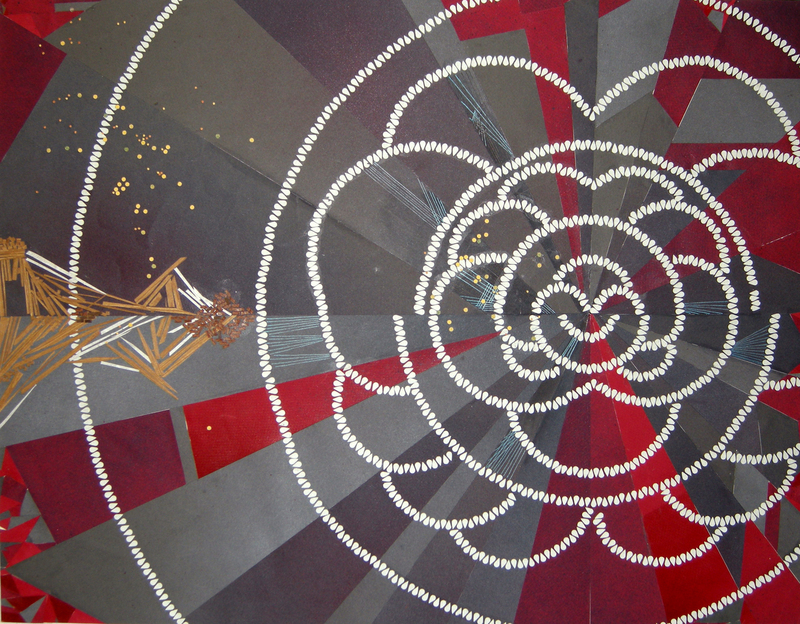 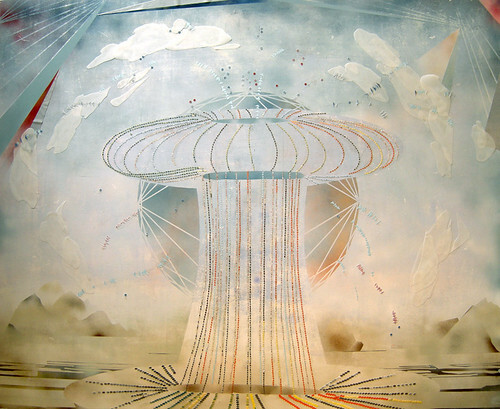 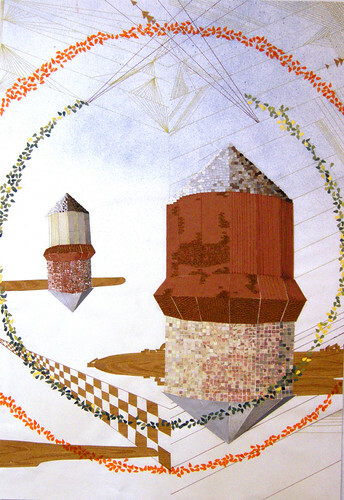 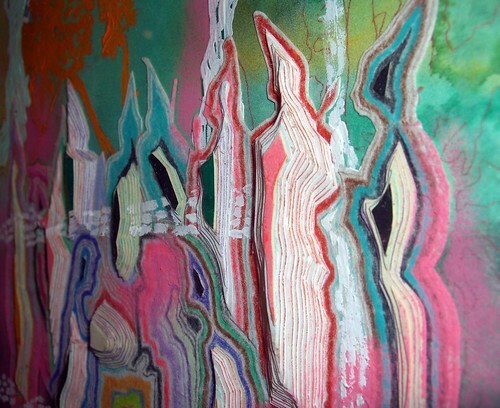 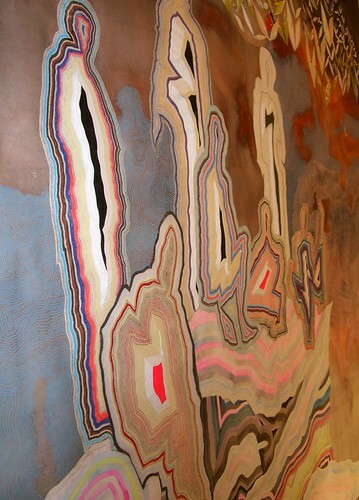 A polymath musician and video-maker as well as painter, Fidler received her MFA from Portland State University in 2005 and has since exhibited in Tokyo, Japan and across the United States before showing at Johansson Projects. 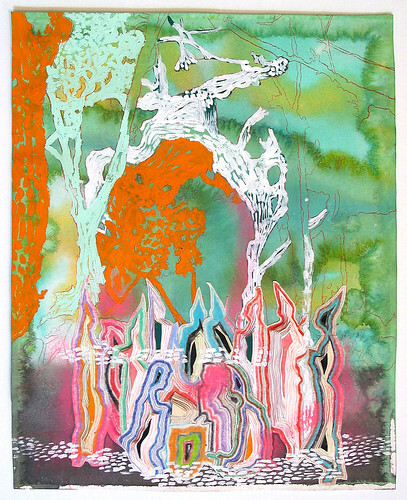 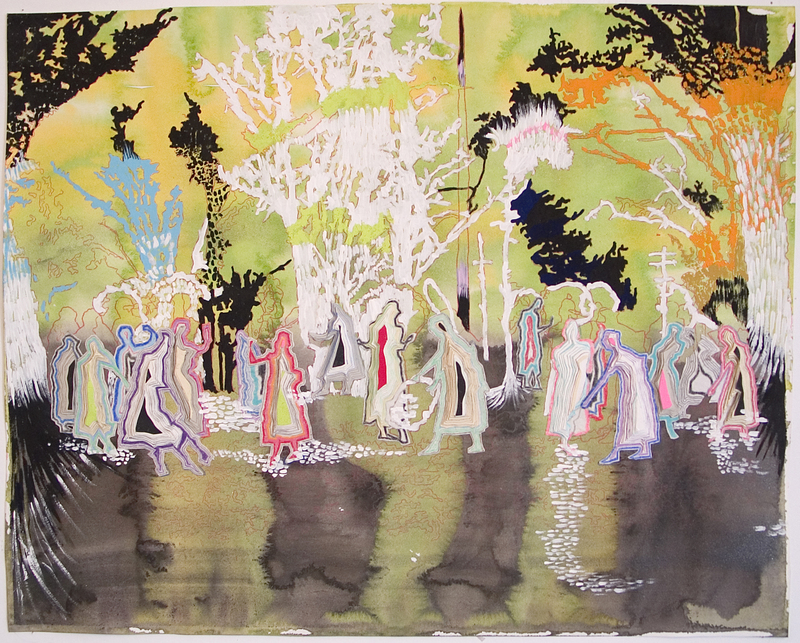 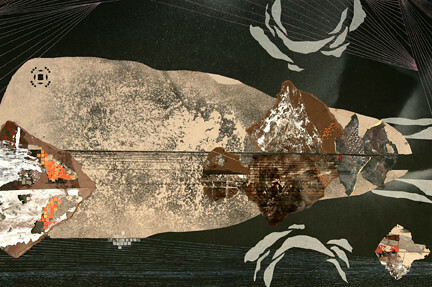 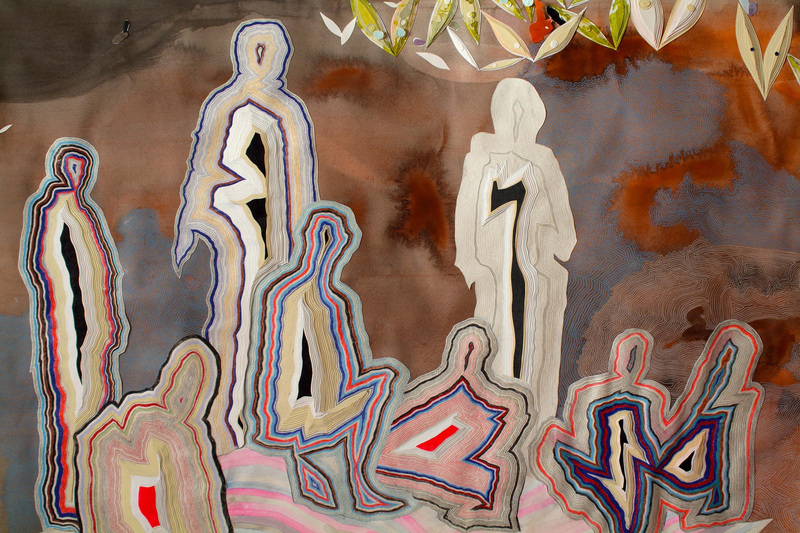 Carl Jung meets landscape in artist Jana Flynn. 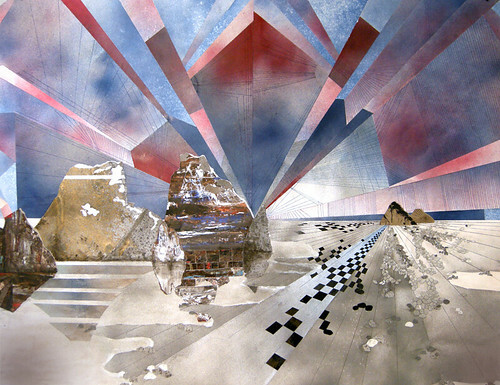 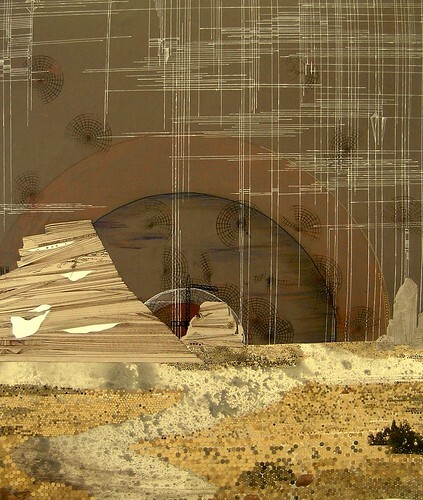 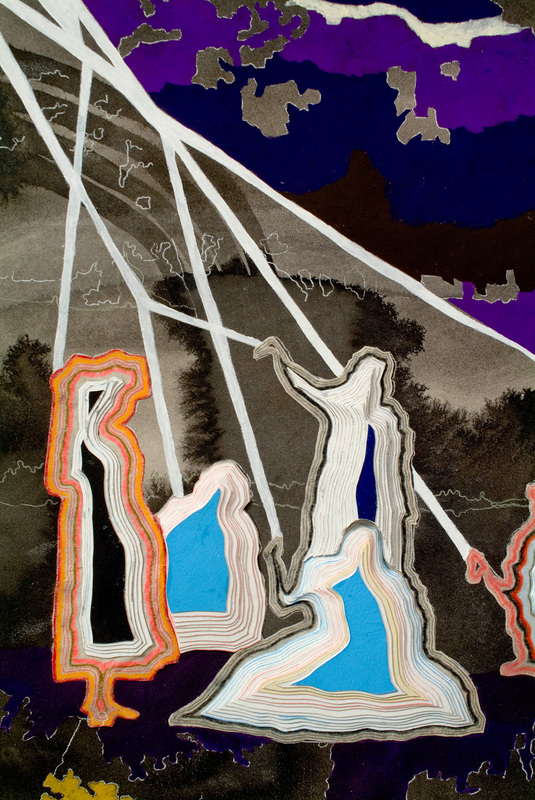 Through the use of collage, paint, thread and tea leaves, Flynn intermingles spiritual and philosophical ideologies to create miniature abstractions of vast panoramic settings as though geological backdrops to a lucid dream. Flynn’s organic approach lends viewers an introspective look into her world that generates both a feeling of boundlessness as well as gravity. 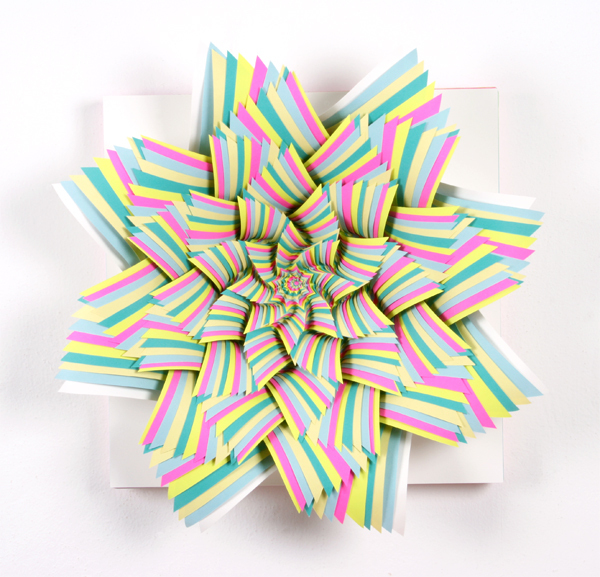 A San Francisco native, Flynn lives in New York where she is currently enrolled in the MFA program at Parsons The New School. Anna Fidler "The Very Eye of Night"
Anna Fidler "The Changing Lake of Silver Face"
Anna Fidler "Men of the Forest"
Jana Flynn "Return To Battle"
Jana Flynn "A New Uplift"
Jana Flynn "How Geological Spreading Creates Magnetic Polarity"
Jana Flynn "Upheaval, Eroded Fold, The Work of Ice"
Jana Flynn "Dynamics of Glacial Advance and Retreat"
Jana Flynn "Evolution Through Adaption"